Fishing in North America provides some of the best destinations in the world for freshwater fly fishing for species like Atlantic and Pacific Salmon plus the mighty Steelhead. Destinations like Alaska and Canada have for many years thrilled fly fishermen from all around the world with first class fishing plus stunning scenery and wildlife. Alaska’s huge remote wilderness has some of the most amazing salmon fishing on the planet. Canada has it all with both Atlantic Salmon and Pacific Salmon, as it is bordered by both oceans. Alaska Trophy Adventures Lodge is the perfect wilderness fishing retreat. Boasting a world-famous run of all five species of Pacific Salmon, plus a host of resident fish, such as Leopard Rainbow Trout, Arctic Char and Grayling. No set itineraries fish with your guides each day for the species of your choice. A fly fishing dream in stunning scenery were you can cast a line in crystal clear streams that are full of fresh aggressive Arctic Char. Kangia River is a river truly made for fly anglers, with cut-banks, rapids, slow and deep stretches, waterfalls, and pocket-water all the way down to the tidal influenced delta. 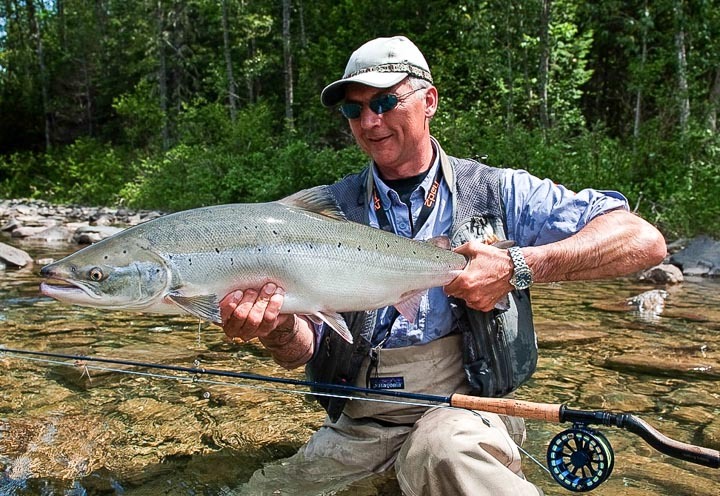 Our hosted trips to Camp Bonaventure are designed for single anglers looking for the opportunity to fish for Atlantic Salmon in some of the most pristine clearest rivers in the world. 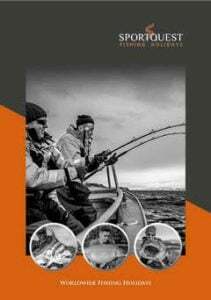 The advantage of our hosted trips is there are no single angler supplements as you will both travel and fish with other like minded Sportquest Holidays customers. Designed for complete beginners and experienced fly fishermen alike, this hosted Kalum River Lodge trip with our Sportquest Holidays host is perfect for either single anglers or small groups of friends. Enjoy the benefit of having a fully qualified host with you at all times as well as enjoying privacy and comfort with private single rooms. Ever fancied doing battle with these mighty freshwater beasts, but struggled to get the numbers together? Well this trip is for you as it is based on single anglers or small groups and is a very cost effective way of fishing for the Sturgeon. Based on just three anglers per boat you will no doubt get your strings pulled more than once. Probably one of the most famous locations in British Columbia, fly fishing for both Kings and legendary Steelhead is BC West. This lodge is located less than a mile from the mouth of the world famous Dean River, where stories of hard takes, and the relentless runs of the “super” Steelhead are hard to comprehend. What makes camp Bonaventure so unique and special is it gives you the opportunity to fish for Atlantic Salmon in some of the most clearest and pristine waters of the world. If that was not enough it is also one of the best places to sight fish for Atlantic Salmon with fish ranging anywhere between 10lb to 40lb. Located on the Kanektok River, only 5.5 miles from its mouth is by all standards a remarkably diverse fishery. Perfectly suited to both single-hand and spey anglers, offering one of Alaska’s best opportunities to catch Salmon where high catch-rates and easy wading is the norm.